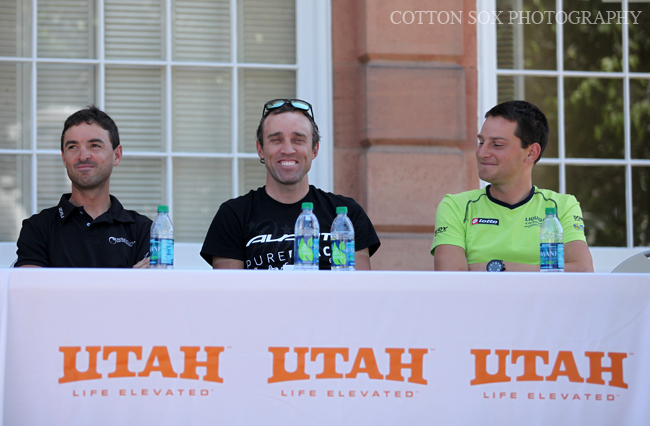 SALT LAKE CITY — Bicycle racing in Utah has come of age. 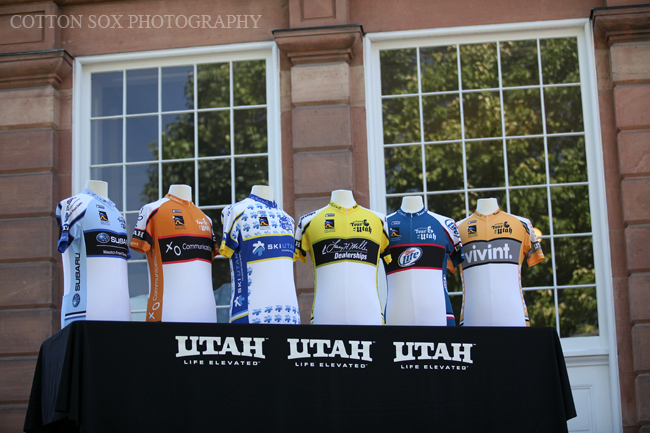 Though the Beehive State has produced numerous pros over the years — ranging from Marty Jemison to Levi Leipheimer to Jeff Louder and Chase Pinkham — Utah hasn't been home to serious pro races. 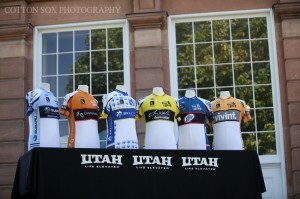 The 2011 Larry H. Miller Tour of Utah has been a fixture on the National Racing Calendar for a few years. 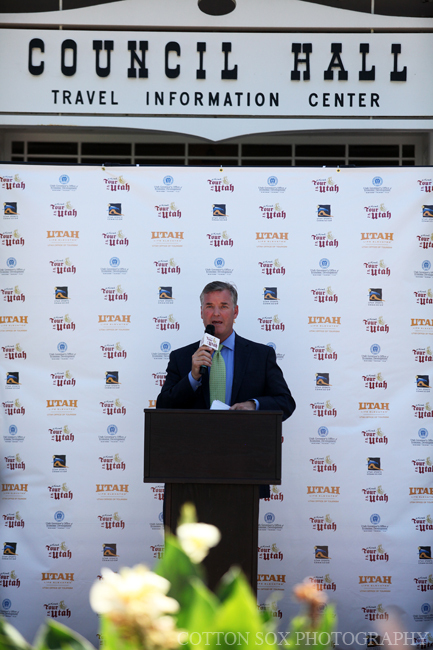 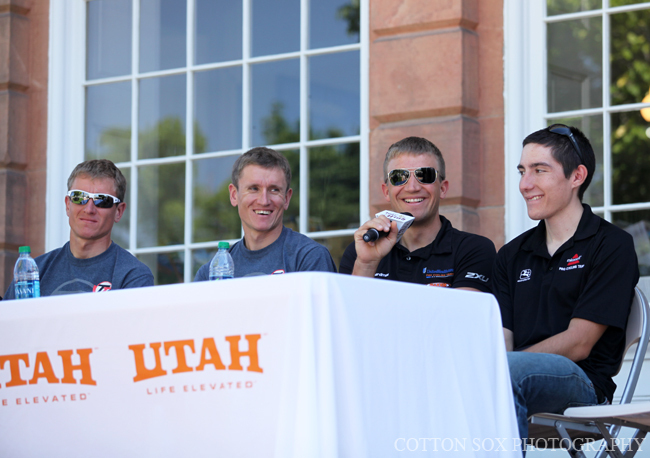 But with its growth to inclusion on the prestigious UCI Calendar, the Tour of Utah has truly arrived. 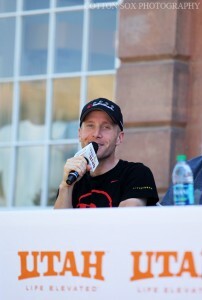 With five Pro Tour teams — including HTC-Highroad, Garmin-Cervelo, Liquigas-Cannondale, BMC Racing and Radio Shack — participating in the 2011 version of the race, the field is by far the deepest and most talented in the history of the event. 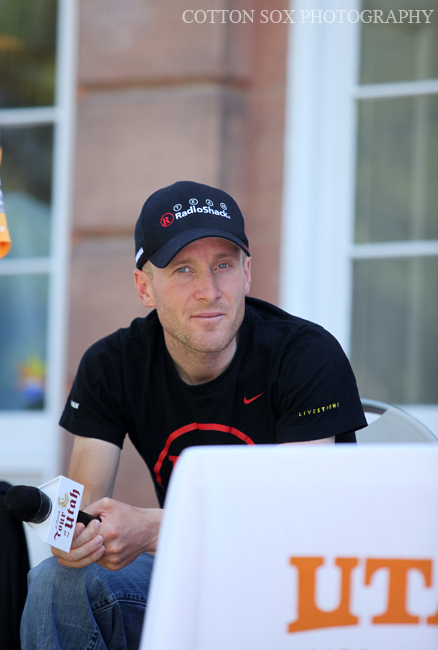 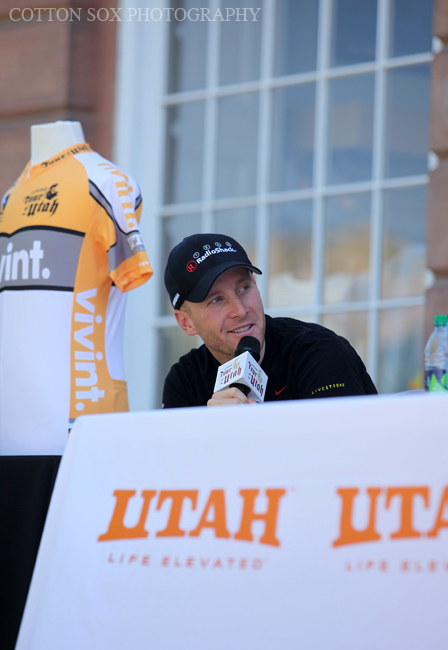 Levi Leipheimer, a former Utah resident and one of the top riders in the Radio Shack squad, is back to defend the title he won in 2010 as a solo rider. 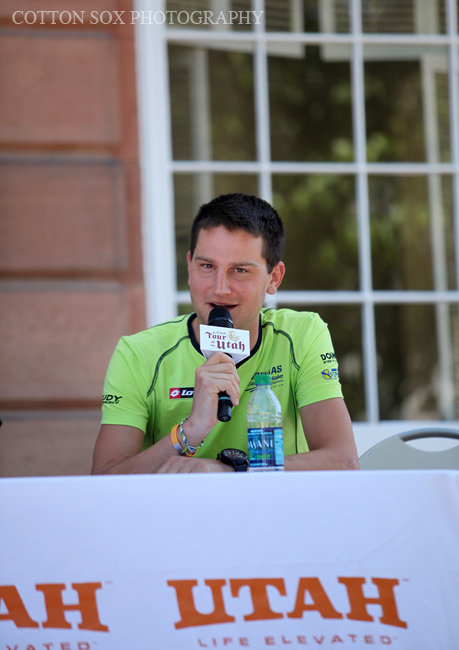 This time, he brings friends and teammates as he attacks the peloton. 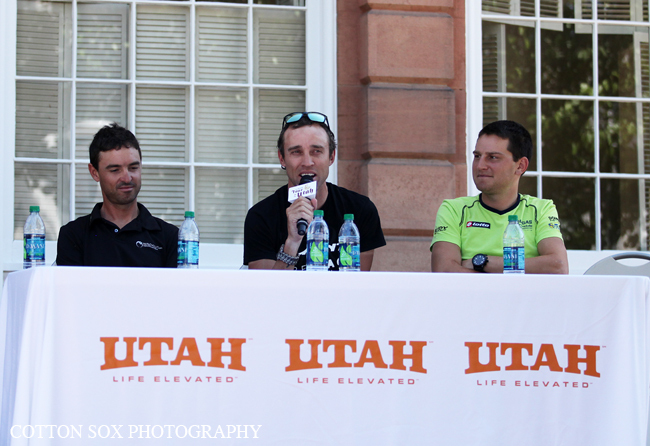 Utah's Dave Zabriskie (Garmin-Cervelo) will also be racing as will Utahns Jeff Louder (BMC) and Chase Pinkham (Bissell) in a star-studded field. 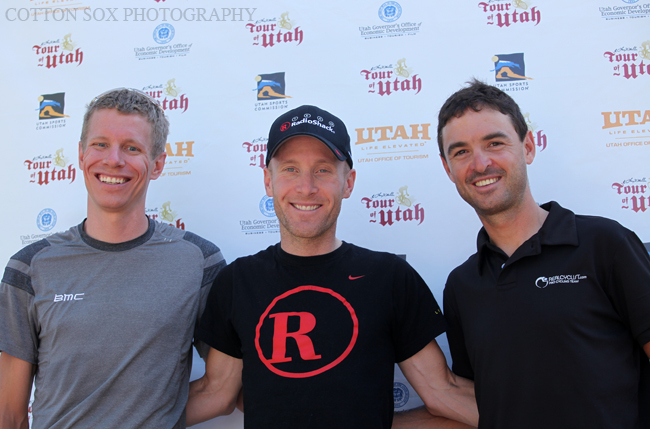 The action kicks off Tuesday with a short, but steep, uphill prologue at the Utah Olympic Park and continues Wednesday with a nasty 113-mile stage beginning and ending in Ogden. 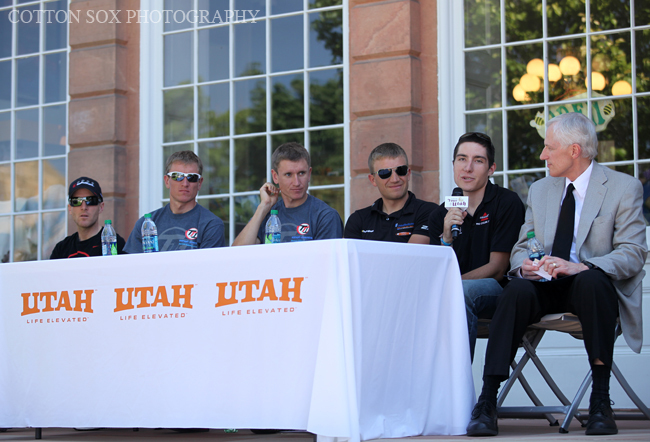 Photos from today's Tour of Utah Press Conference. 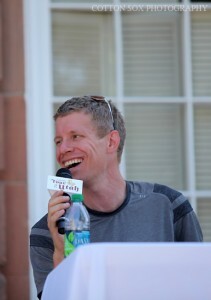 8-8-2011. Jeff Louder speaks about the upcoming race and how Snowbird will be anything but a parade.